Bottom Line: There's more to picking a PSU than the wattage, as explained in the first of a series of forthcoming PSU reviews. 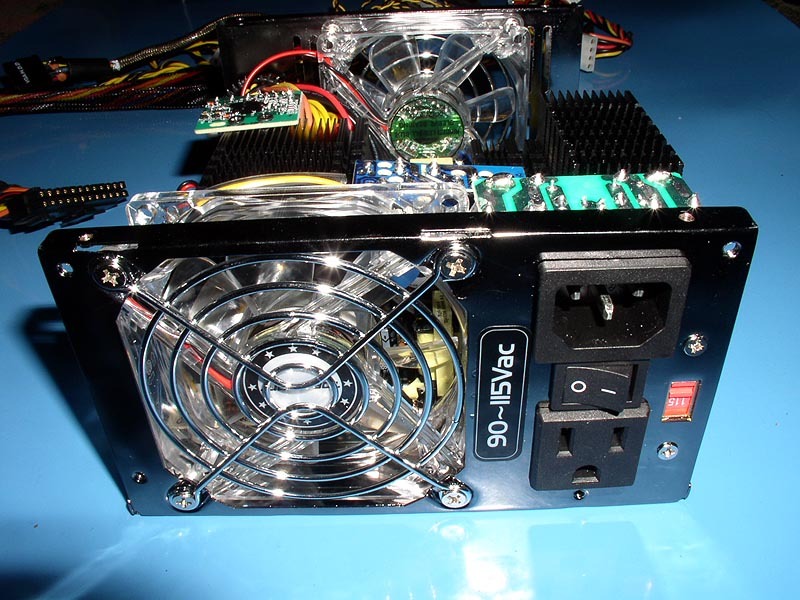 Raid Max is a company that designs and distributes cases and power supplies. Only a few years ago, Raid Max was having their power supplies built by lower end companies like Leadman. But with power supply quality becoming more and more essential to the performance and stability of a computer system, Raid Max has taken a complete 180 and now offer five seemingly better quality units, mostly built by power supply manufacturer Topower. Their flagship power supply is the RX-520XP. A high-wattage, shiny-finish power supply that touts a lot of power and a lot of low noise features. Here's the back of the Raid Max RX-520XP. The housing has a similar "titanium" finish as the Ultra.